Ski season is officially here, which means our power rank of the 10 best ski resorts in the entire Midwest is also officially here, complete with each resort's distance from Chicago and pro tips for enjoying everything from all-you-can-eat BBQ to the Slush Cup. Why it made our list: You probably know Alpine Valley as that place where you saw Dave Matthews that one time in high school. In winter, it’s the closest thing Chicago has to a respectable ski establishment. Pro tip: They may be closer, but don’t even think about Villa Olivia or Wilmot. You can drive a little farther. Like, at least to here. 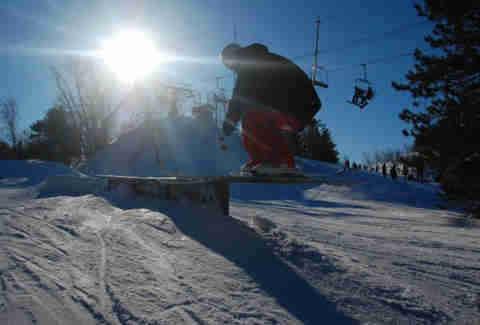 Why it made our list: Narrowly beating out nearby Devil’s Head, Cascade stands out from the pack with America’s longest S-rail and plenty of opportunities to go all Shaun White with big-air jumps at five terrain parks. Bonus: lights at night transform the hill into a full-on party mountain. Pro tip: For the lazy among us, you can also get down the mountain by snow tube. Just sayin’, it’s an option. 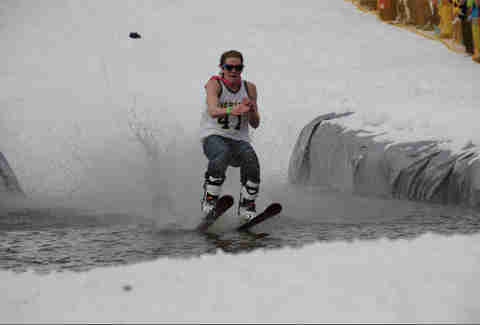 Why it made our list: Others on the list may have more snow/better runs, but few are this fun. Chestnut’s location in Galena (one of our top Midwest vacation spots) means plenty of action outside the resort, not to mention the on-site Sunset Grille, where you can dine on steak and gourmet pizzas while perched high on a bluff overlooking the Mississippi River. Pro tip: Come back in summer for disc golf, Segway tours, and river cruises. You can also ride the Windy City ski bus to Chestnut from the city. 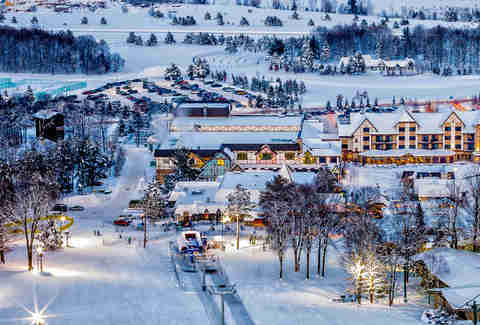 Why it made our list: Located within the chilled-out Rib Mountain State Park, this resort offers more room to roam than the more crowded confines of Cascade/Devil’s Head -- along with Wisconsin’s highest vertical drop. Which is nice. Pro tip: Skiing is great and all, but so is relaxing in the new 10,000sqft Sundance Chalet or the historic stone chalet built in 1939. In other words, chalets. 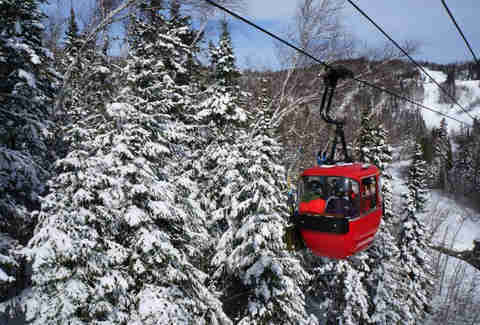 Why it made our list: First of all, the place is just massive -- with 1,000 acres of skiable terrain spread out across four interconnected mountains, the highest of which is taller than the Hancock Center Skydeck. Arguments can be made about whether or not to call this the biggest resort in the Midwest, depending on whether or not you consider Minnesota part of the Midwest or "Mid-America." Pro tip: Make sure to take a ride in the region’s only gondola, taking in panoramic views of a mountain range the size of Downtown Minneapolis. Why it made our list: Often the first to open and the last to close each ski season, this fun little resort is a nice alternative to the megaresorts that often lay claim to the Midwest’s best runs. 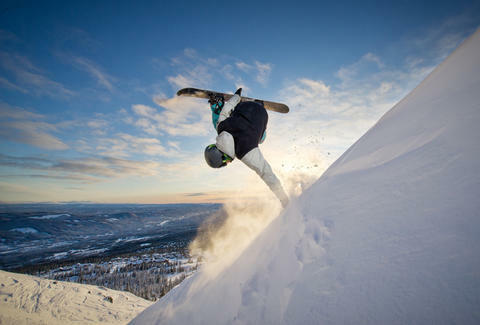 They have a terrain park, naturally, but how many resorts do you know that also have a tubing park? We’re guessing just this one. Why it made our list: Instead of being crammed into some run-down old lodge, you can rent badass private homes or high-end condos to throw your après ski party Aspen-style. 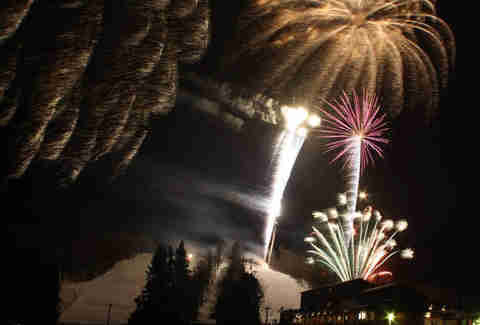 Then hit the mountain for fat tire bike races, beer/brat fests, and, of course, some of the finest ski runs in the state. Pro tip: Don’t miss the spring Slush Cup, where judges rate your skills as you ski or ride through a giant pile of slush. Bonus point for wearing a costume. Why it made our list: The tri-resort megacenter where Indianhead, Big Powderhorn, and Blackjack converge around the town of Ironwood in the Western UP is easily the greatest place to ski in the Midwest. 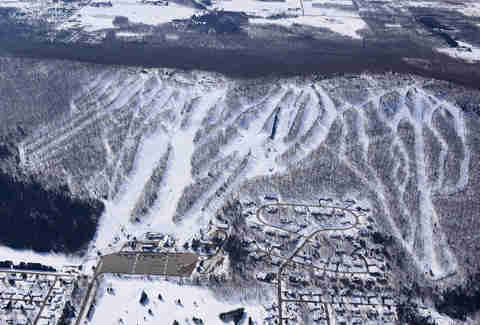 And Indianhead is the place to do it,with the highest vertical drop of the big three and 15 excellent expert runs. Pro tip: There’s always a party to stumble upon at Indianhead -- with not one, but two live music venues on the mountain and a surprisingly hopping late-night scene at Dudley’s Saloon. Pro tip: Get romantic with a Saturday night sleigh ride to the top of the mountain for a moonlight dinner of roast tenderloin and chocolate fondue, served by candlelight as acoustic guitars play. Why it made our list: Do NOT read this if you’re a beginner. You are not allowed here, as a sign notes upon entrance. For the rest of you, welcome to one of the Midwest’s greatest hidden gems, offering 500 acres of wild, ungroomed terrain with the Midwest’s longest runs and highest vertical drop. Not to mention nearly 300 acres of powder a year (most in the Midwest) and 94 expert runs, all but three of which are rated black diamond or above. Pro tip: Do cliff jumps off badass triple black diamond backcountry forest runs inaccessible by lift, but remember to wait for the roving bus to take you back to the top. Also, the Mardi Gras party at the North Pole Bar is a must. Jay Gentile is Thrillist’s Chicago Editor and he’s not ashamed to admit he used to ski Villa Olivia in jeans in high school, but probably should be. Follow him @ThrillistChi.